Yes we understand that the personal touch is irreplaceable and it’s the foundation of any hospitality business but can you improve this? What would it be like if you could offer more? How do you keep in touch with your guests once they have left property? Improve the communication with your guests when they leave and keep them informed of your latest special offers and promotions direct to their mobile. Over 2 billion emails are sent every day and 87% are classed as junk. What do you think happens to yours? A branded message direct to your guests home screen. Can you think of a more intimate way to keep your guests engaged and build your brand? Launch your Brand into a lucrative new marketing channel- The large groups have been enjoying the benefits of booking apps for some time now. We think they are sometimes missing the intimacy of mobile. Give us a call and we will share our secrets with you. 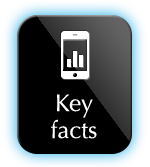 The ability to send your guest all your last minute offers and specials direct to their mobile allows you to deliver your messages more effectively than ever before. The capability of your intimate branding on your guests home phone and the steady stream of quality content to your guest after leaving your hotel is a potent concoction that will result in an increase of repeat bookings. Sending last minute offers to your valued customers has never been easier and the fact that your message will be noticed and read makes your follow up marketing more effective than ever before. Build Customer Loyalty- By strategically positioning your brand on your guests mobile phone screen combined with up to date quality content from you will result in your guests turning into loyal customers. It’s a win ,win situation, you want to connect and engage your guests and they want to feel part of something. 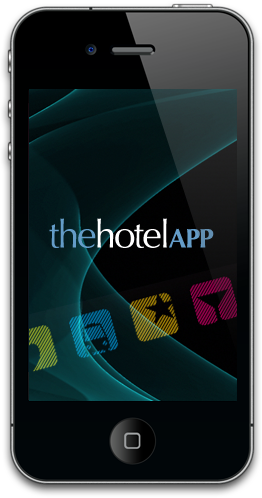 Send offers and promotions exclusive to guests who download your app and cement a long lasting business relationship. By owning your very own mobile app you will enjoy free viral advertising, what great ways to show off to their friends were they have just stayed. Allow your mobile app to become a virtual concierge answering all the questions that you know they want answering 24 hours a day 7 days a week. During busy times, your front desk has a multitude of tasks to deal with and although the personal touch is key to your success, wouldn’t it be a fantastic way of delivering your important information and answering your guest’s questions before they ask them. Your mobile app can act as your front desk on any day of year in any part of the world! Improve Service Levels- With the ability to track each request sent through your app you are able to monitor exactly how quickly requests are being handled. We all know that today guests expect the highest service levels from where they stay and by having a clear way to track measure and monitor every request sent through your app you can rest assured that you have your finger on the pulse when responding to your guests needs. Guests are expecting more from their stay than ever before. By offering them your very own mobile app you are setting yourself apart from the crowd and offering them the latest technology in a fun easy to use way. Notice how many of your guests are using smartphones now and allow your guest to have fun playing with your app and making their stay more fun and enjoyable. As you know it’s the little things that make the big difference. Studies have shown in the US that your customers are more likely to order 20% more food of a digital menu than they would of a normal one. Slick, taste bud tickling images of your all your dishes, with a full description of the ingredients and how it is made are sure to have your guest’s mouths watering. The ease of being able to tap a button and know it’s on the way is sure to have your guests spending. Be friendly to our planet. The need to be green is not just a option it is a necessity for today’s forward thinking businesses. Take a proactive approach in helping sustain and protect the planet. Is your hotel committed to reducing your carbon footprint? What a great way to reduce the need for printed point of sale throughout your hotel and reduce your waste.